Spain has been on my “to visit” list ever since I fell in love with its language, culture and of course, food. So, it was a due time that I went here. This happened in the autumn of 2012, when we decided to travel for few days and discover the region of Granada, the southern part of Spain. Why Granada? It’s rich cultural and architectural heritage, the amazing landscapes due to the vicinity of the Sierra Nevada Mountains and the lovely autumn temperature were good enough reasons. 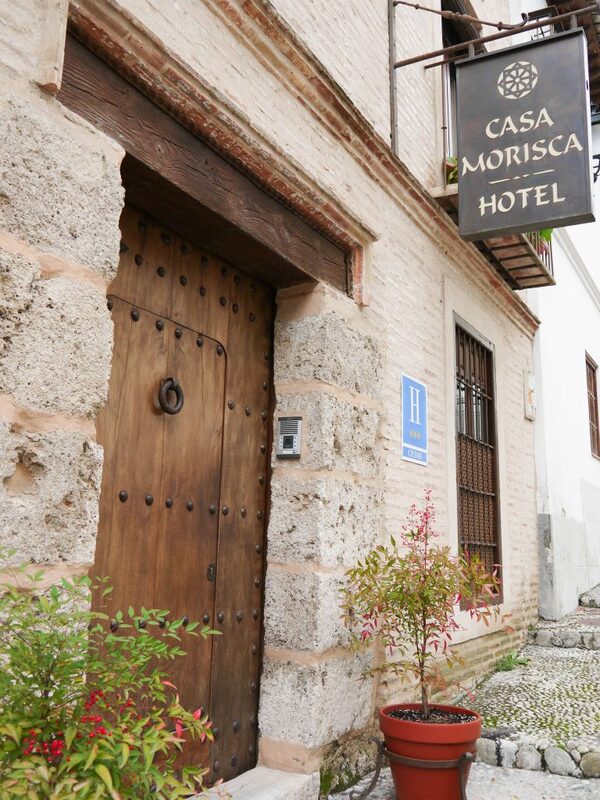 As for accommodation, we picked an architectural and design jewel, namely the deluxe room at Casa Morisca Hotel. Even more so, the Morisca Hotel was in the close proximity of the famous Granada Palace, and our room had a lovely view from the hotel’s windows. 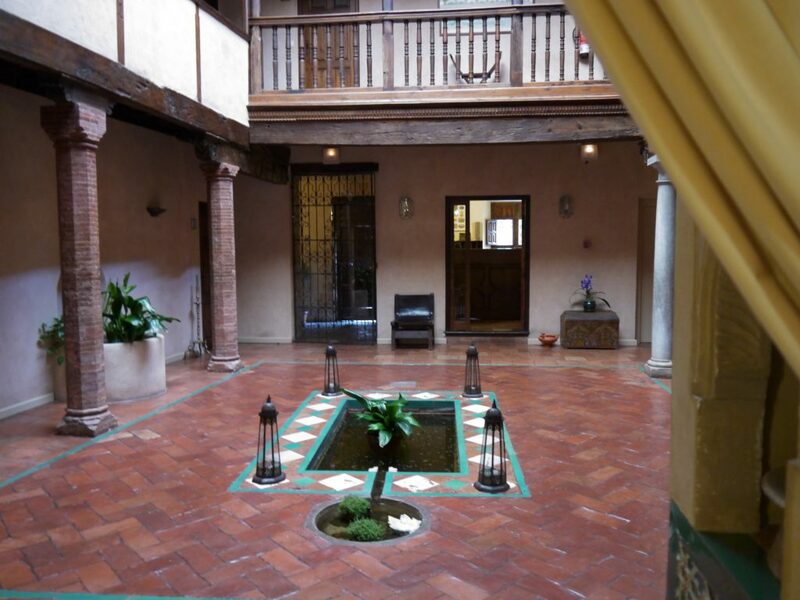 Everything in this boutique hotel spoke of the Moorish occupation of Spain during the medieval times with architectural elements and décor specific to those influences. Needless to say the room was filled with beautiful artwork and we have a lovely artistic ceiling to look at whenever we rested in the comfy king size bed. 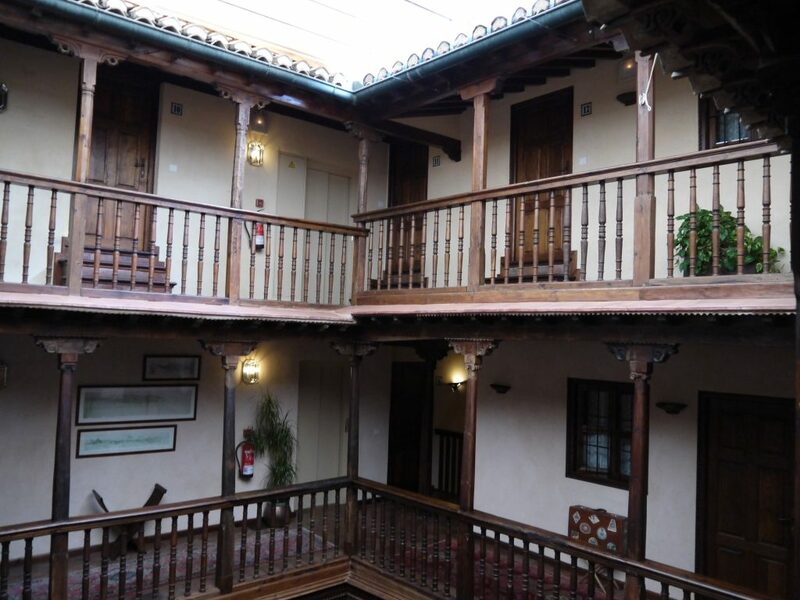 The Morisca Hotel was definitely a reason by itself to visit Granada, but we looked for something fun to do while we were there. So, we were advised to attend a Flamenco dance show in the neighborhood of Sacromonte, the most emblematic place for flamenco in Granada. There, we discovered the Caves “Los Tarantos” where flamenco dances, great local cerveza (the Spanish for beer) and amazing rhythms all combined together into an amazing, and unforgettable experience. Performed by authentic Zambra gypsies, Flamenco is a specific music and dance created by the gypsy of Spain, characterized by very mesmerizing dance moves, attitude and passion. 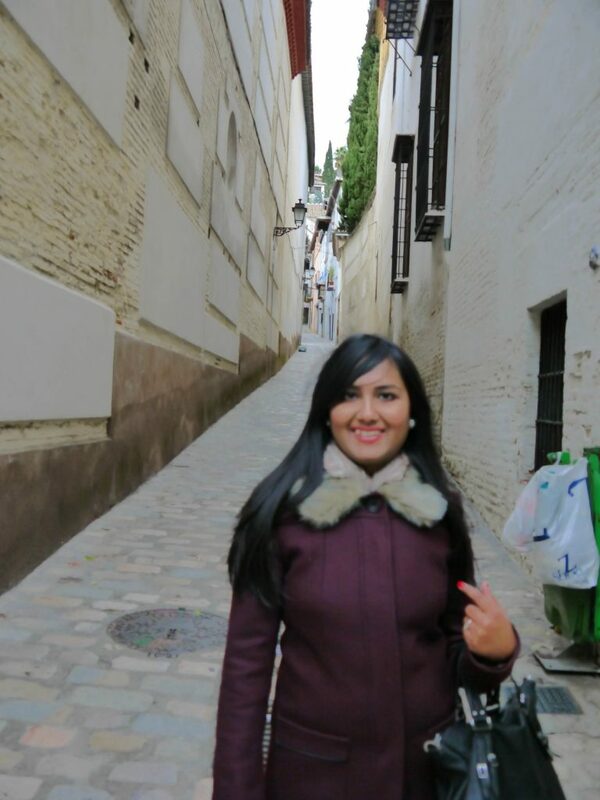 We truly enjoyed our taste of Spain, and I have to say that Granada is a great choice for people who want to have fun, but also admire the cultural and architectural heritage of this amazing country. Hope you enjoyed the post. 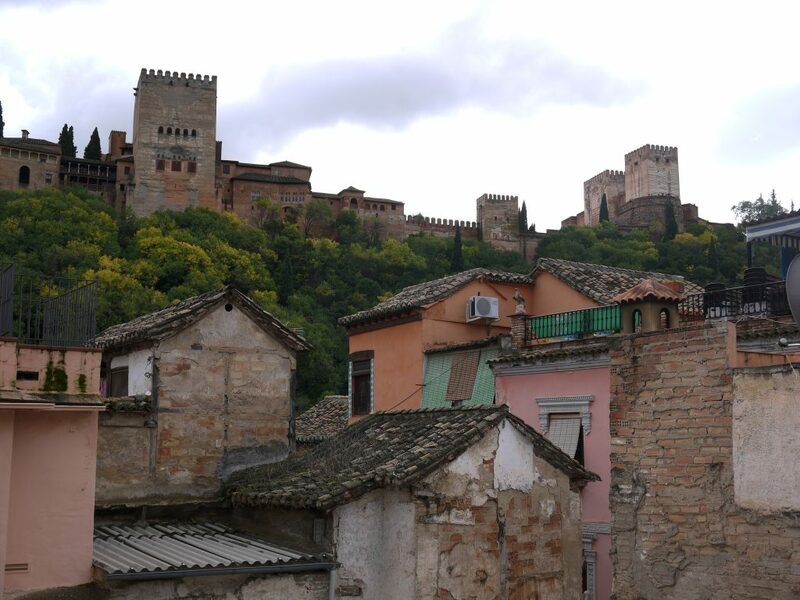 Have you ever been to Granada? Is there a place in the world where you have left your heart and wish to return? What gorgeous backdrop – love what you’re wearing too!! Happy weekend!! I simply love your pictures because it shows how beautiful Spain looks. I also love your outfit. Those are some truly gorgeous photos! Have a great weekend! 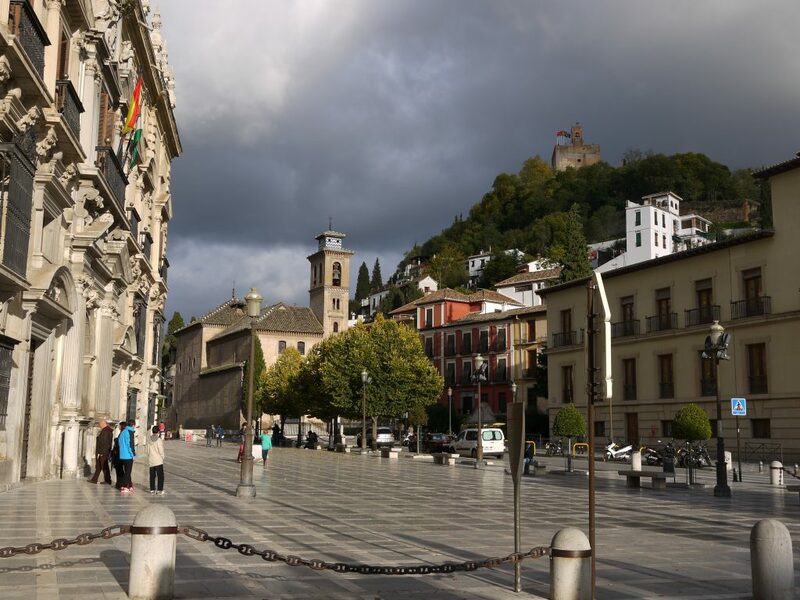 I’ve travelled to Granada many years ago when my sister was living there in for a semester abroad in that special little town. It was so long ago, so I am sure changes have happened, but I know its charm is still intact. Spain is beautiful country. I loved it there. It looks lovely and very interesting. I left a bit of me in Switzerland, It was so beautiful, the air was clean, I loved the alphorns and the cowbells. Sigh. I have been to Spain and loved it! I haven’t visited Granada, but would love to make a return visit to this country and see Granada and other parts of Spain. 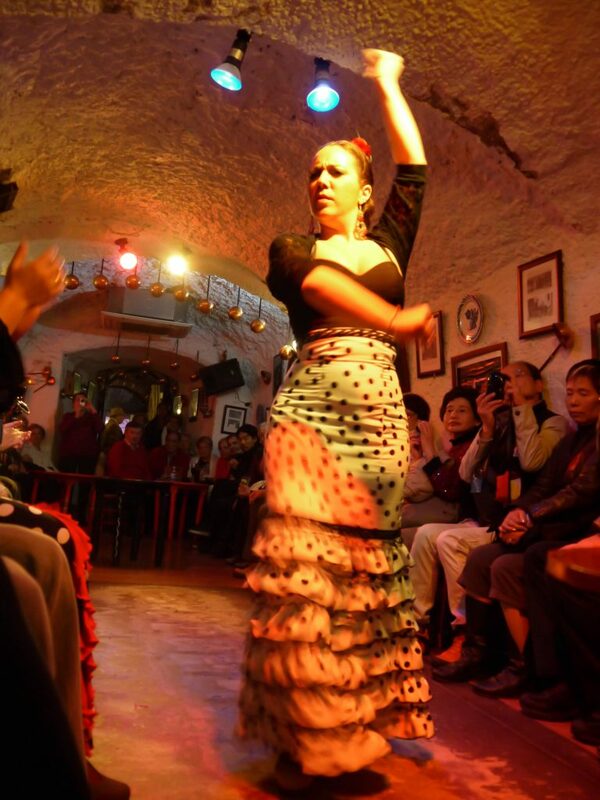 I loved the Flamenco dancing and the overall laidback feel of Spain!